Snakes belong to the suborder Serpentes, are elongated, limbless and flexible reptiles. There are about 2,900 known species of snakes, of these, some 700 species are venomous and of those around 250 can deliver a bite capable of killing a human. But even non-venomous snakes can be dangerous to humans, especially the biggest snakes in the world. 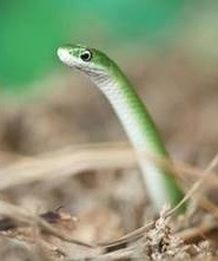 Snakes first appeared on Earth about 99 million years ago. The many snake species consume a wide variety of prey including insects, rodents, birds, frogs, small and larger mammals and other reptiles, including other snakes like the King Cobra. Snakes eat their prey whole and are able to consume prey up to 3 times larger than the diameter of their head. This is possible because their lower jaw and upper jaw can separate from each other. To keep prey from being able to escape, most snakes have rear-facing teeth that hold their victim in their mouths, notably constrictor snakes like the Burmese Python. Venomous snakes inject their prey with venom, while constrictors will squeeze the life out of their prey. Snakes don't need to hunt and feed on a daily basis. Anacondas and pythons can survive for up to a year without food after feeding. Most snakes will hunt mainly at night. Snakes can be found throughout the world except for Antarctica, Iceland, Ireland, Greenland and New Zealand. Most snake species are found in the tropical regions. Snakes inhabit and can be found in many habitats including in the water in both lakes and the oceans, forests, deserts and prairies. Although snakes have no legs they move in several ways, some species move with a rectilinear movement while others have a serpentine type movement and others move with a side winding movement like the sidewinder. One thing is certain no snake can move backwards. Most often observed flicking its tongue, snakes use their forked tongue together with the Jacobson's organ to "smell" the air. Some snake species even have heat sensors or pits to detect prey in the dark, called the pit vipers. In captivity, some species will live as long as 50 years, a snake's lifespan in the wild is difficult to determine. Snakes are ectothermic, this means that they must regulate their body temperature externally whether by sunning themselves or retreating to cooler or shaded areas when they overheat. Some snakes hibernate or brumate during the winter. Snakes must shed their skin three to six times per year. A snake size and length can vary to extremes by species, with up to 30 feet long, the reticulated python is the longest snake, the green anaconda isn't the longest snake, but it is the heaviest, and weighs up to 550 pounds. On the other hand the Barbados thread snake with minuscule 4 inches is the smallest. For the most part snake species lay eggs, but some species will give birth to live young. Snakes lay their eggs in a warm location. With the exception of some python species, eggs and young are not cared for by the male or female. Snakes often serve a major role as predators in several ecosystems, and a healthy ecosystem is abundant in a variety of predators, like snakes, that maintain the rodent and other animals populations at acceptable levels. If you think of farmers and the problems they have with many rodents, snakes actually keep crop yields higher and prevent disease spreading. Even so the fear of snakes, Ophidiophobia, is the second most common fear in the world. Click the link to check out the list of snakes present in this site.